Business Tip #7: Image is everything. Using 3 words or less, describe a typical rock star image. Add sunglasses to option c) and you’ve got the look of 2 of the 3 members of ZZ Top. The only member of the trio without a beard? The felicitously named Frank Beard. Perhaps best classified as ‘disco rock,’ this album’s full of straight ahead, toe-tapping fun. Though I still prefer their cameo as the 1885 band in Back to The Future III. Self-deprecating humour also never hurts. 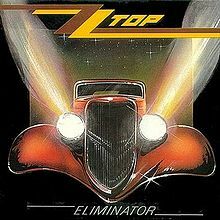 When asked why the customized 1933 Ford coupe was featured on the album cover instead of the band and their trademark image: it looked better than they did. This album = EPIC! Gimme all your lovin, Sharp Dressed Man, Legs… need I say more?